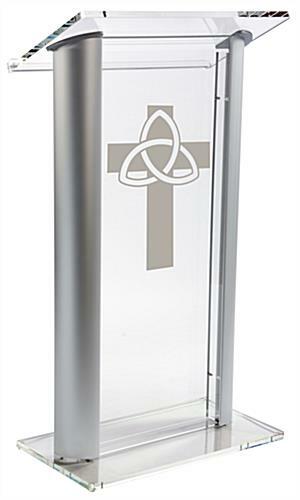 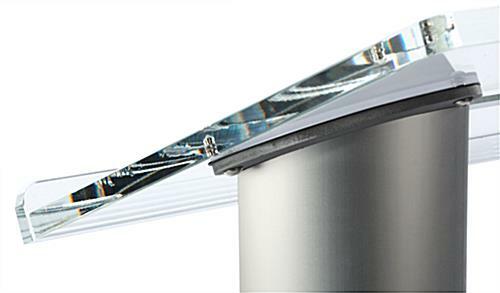 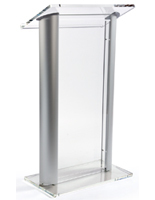 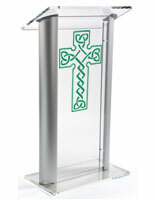 These acrylic trinity cross pulpits feature a modern clear finish with silver sides that will match any environment. 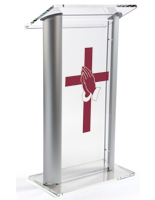 The church furniture features a front logo that is custom imprinted in one of ten colors. 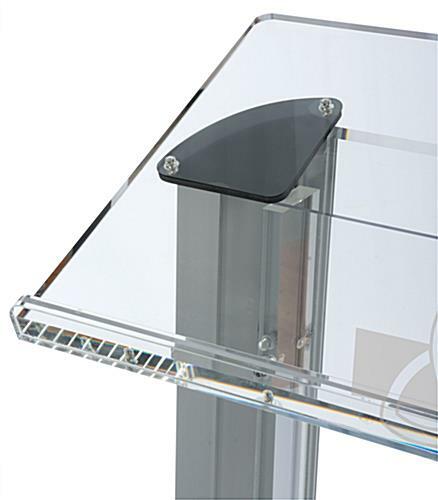 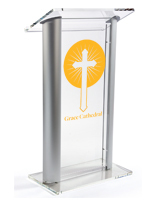 Also, the clear trinity cross pulpits feature an angled reading surface that measures 26.75" x 15.25" with a book stop for holding presentation materials. 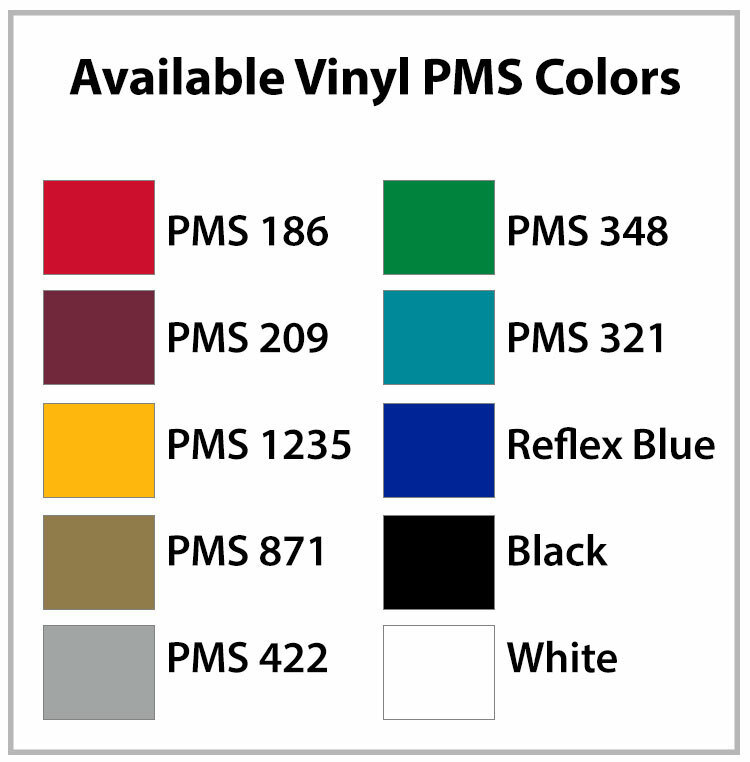 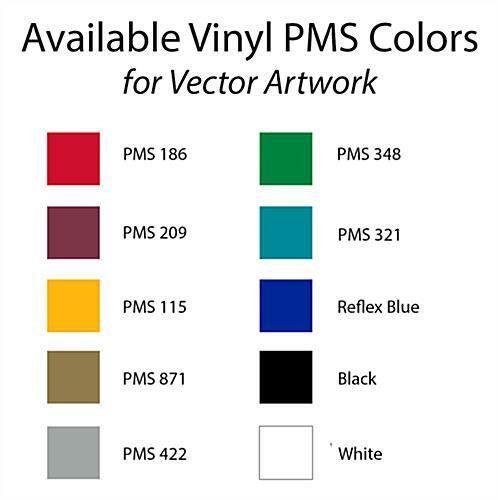 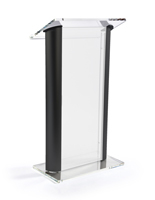 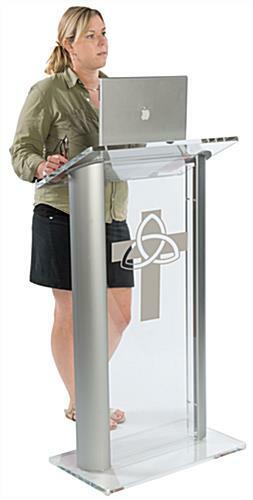 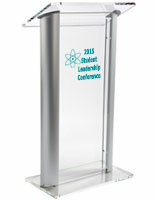 The lecterns with a custom-colored logo ship full assembled for extra convenience. 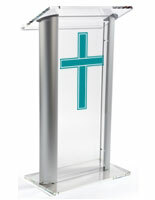 Each pulpit also includes rubber feet to prevent flooring from getting scratched. 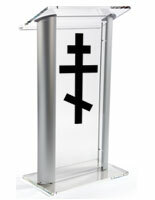 The church furniture is also available with a frosted front panel.